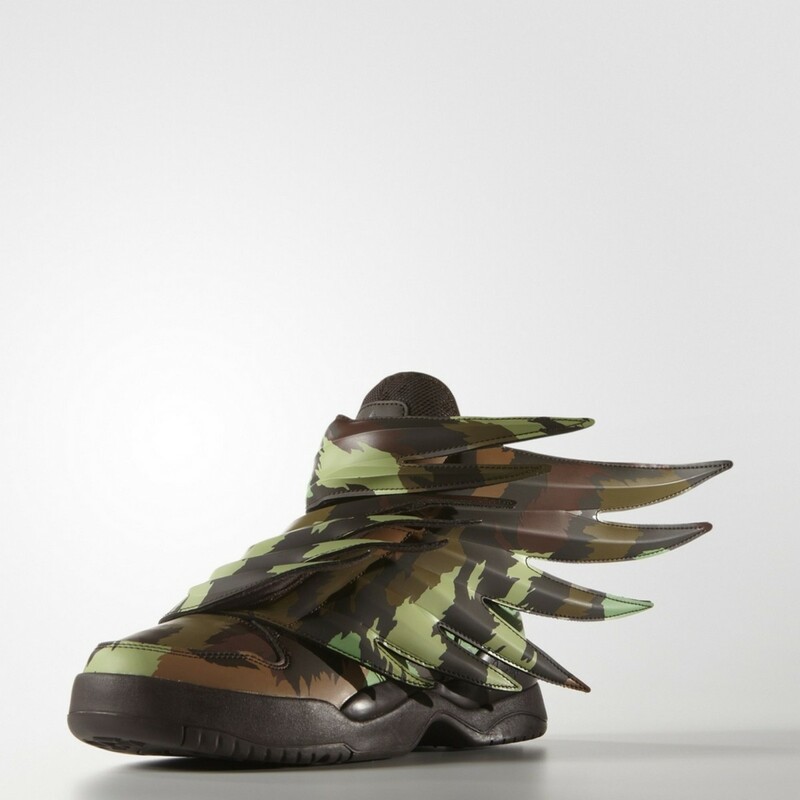 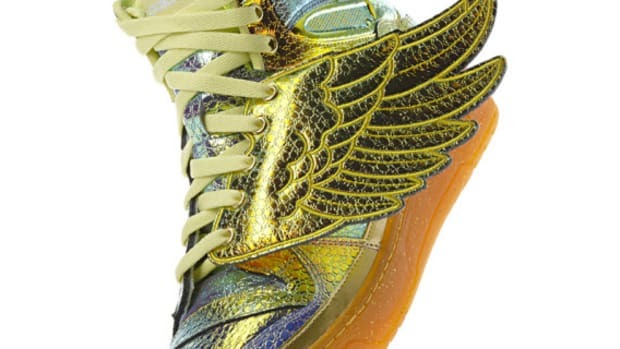 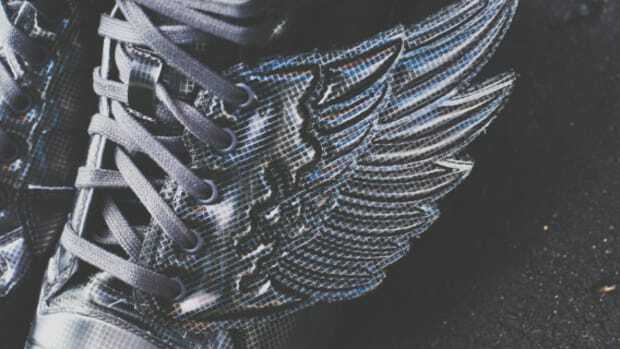 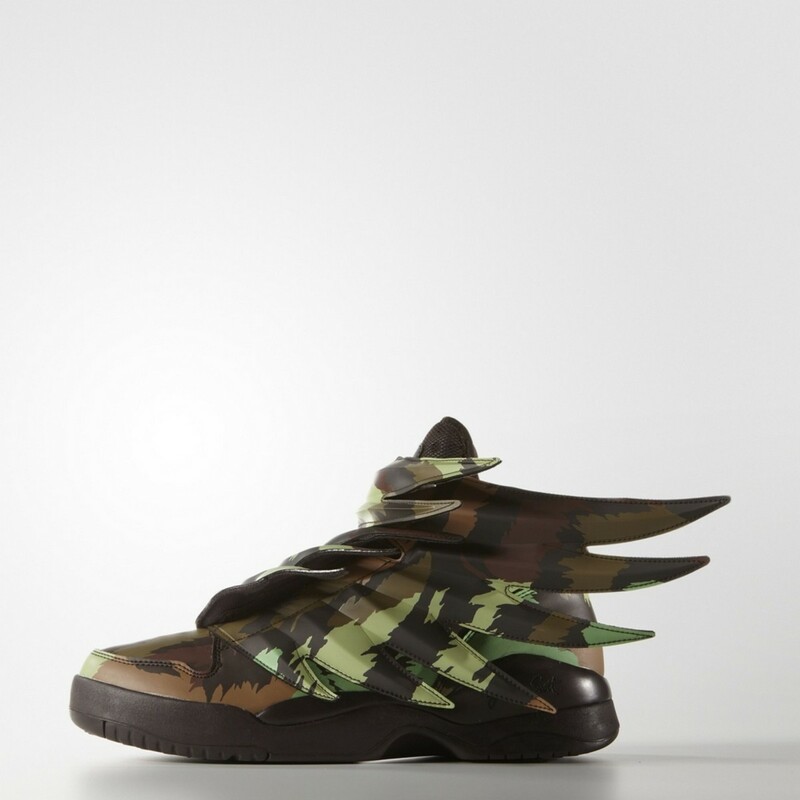 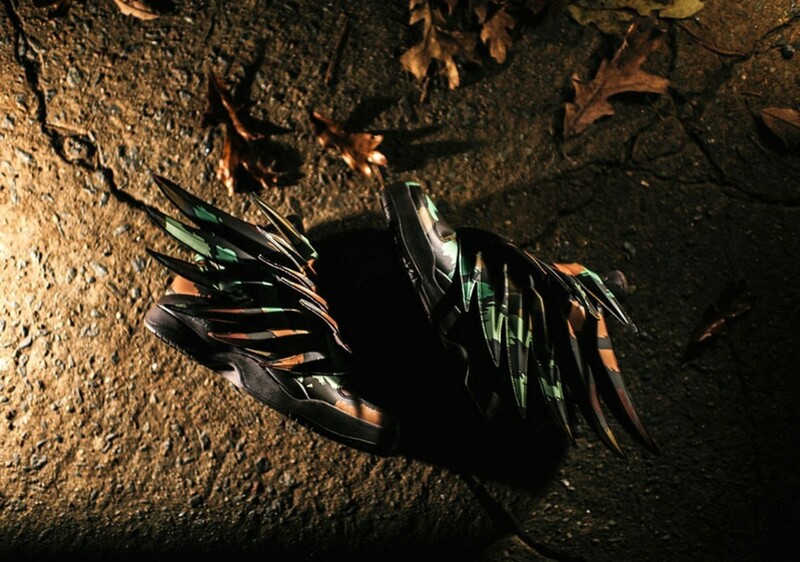 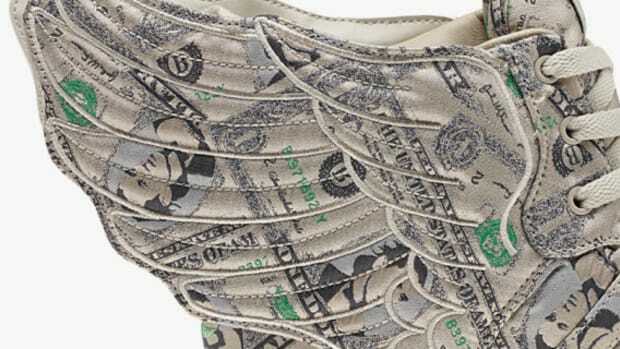 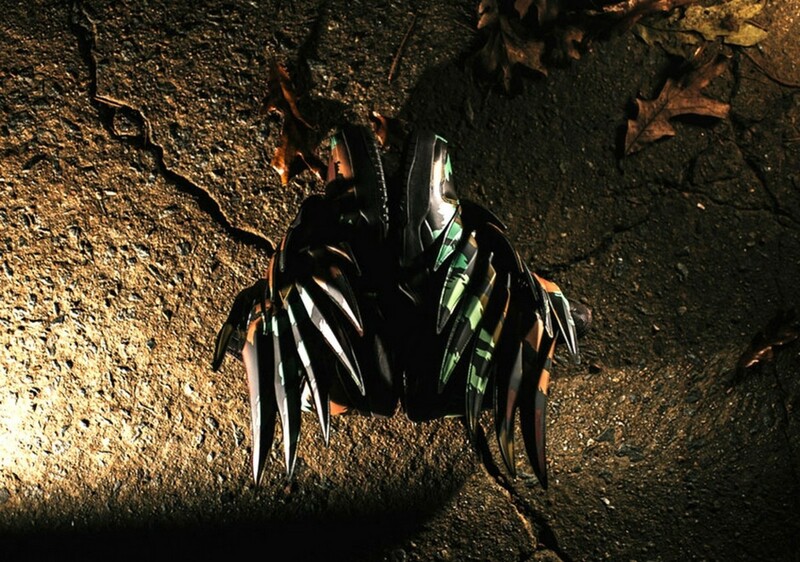 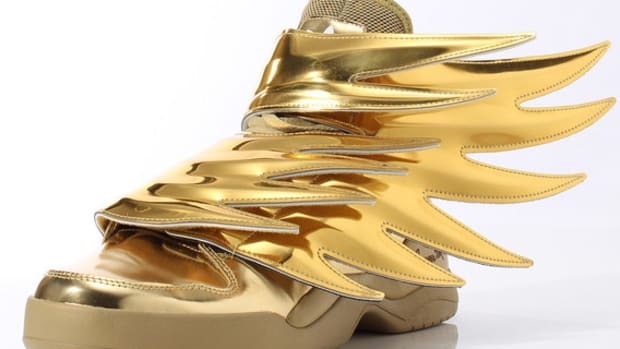 Jeremy Scott&apos;s latest project is for the birds, releasing this creative adidas Originals Wings 3.0 Sauvage. 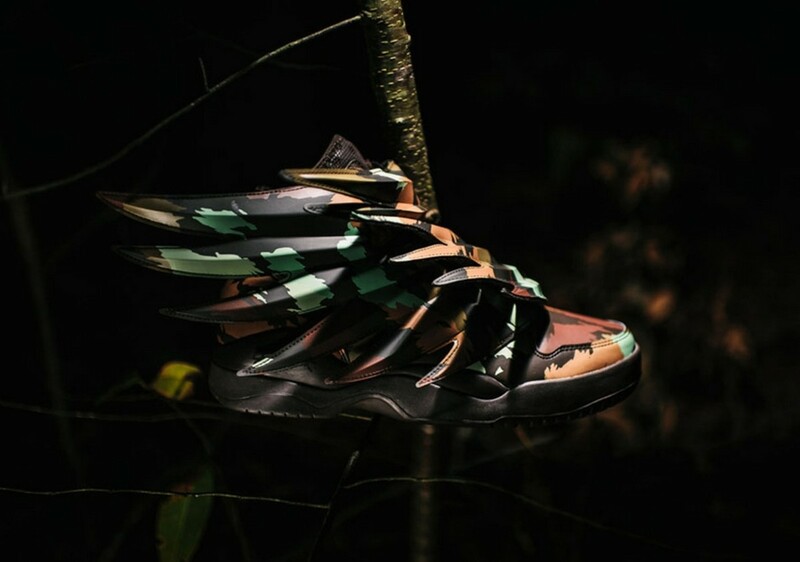 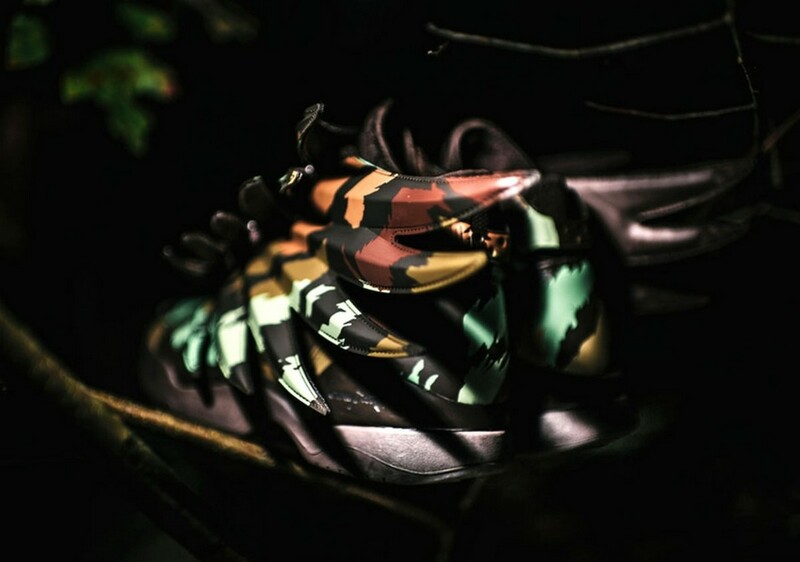 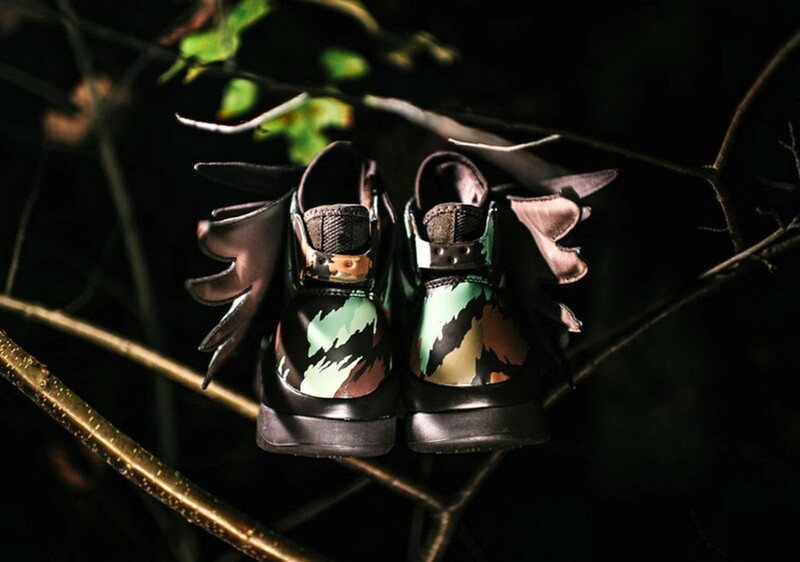 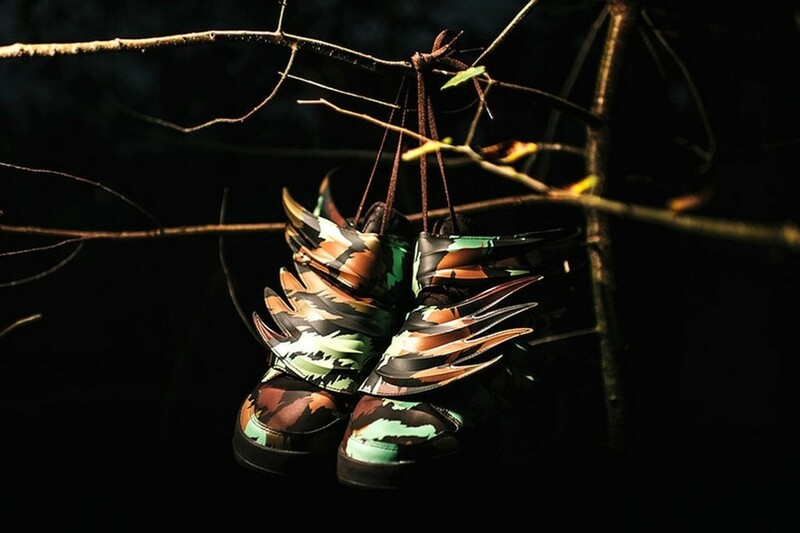 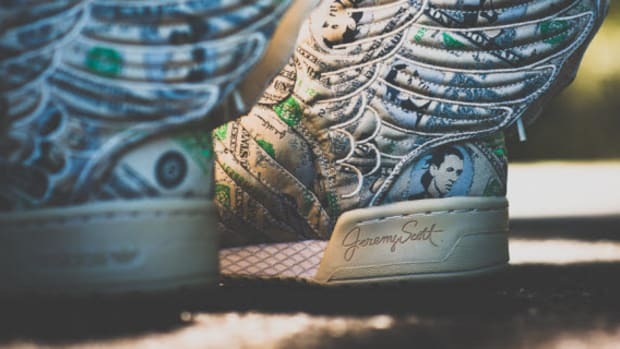 Nothing short of wild and untamed creativity, this never before seen specimen is one for the books, rocking a forest-themed colorway for the famous winged sneakers. 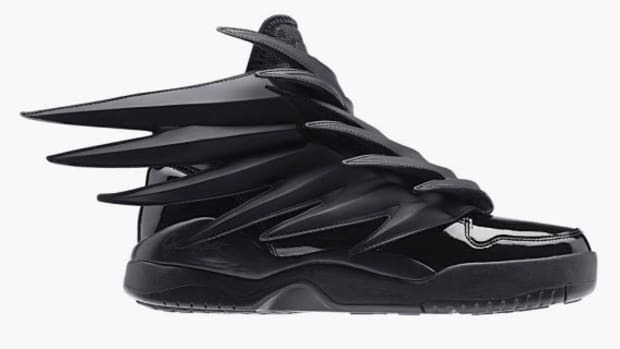 Everything from heel to toe and midsole will help you blend into forest or, out on the streets, stand out amongst the crowd especially with those spiky dragon-like wings. 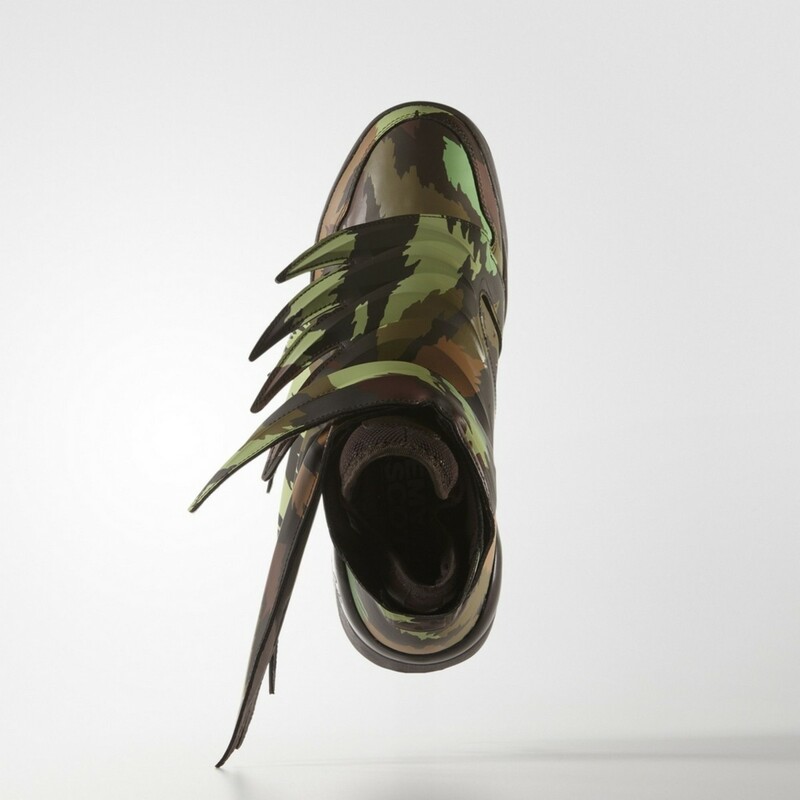 Finished underfoot with the archival Hackmore sneaker outsole with a glossy coating up top to the matte leather build. 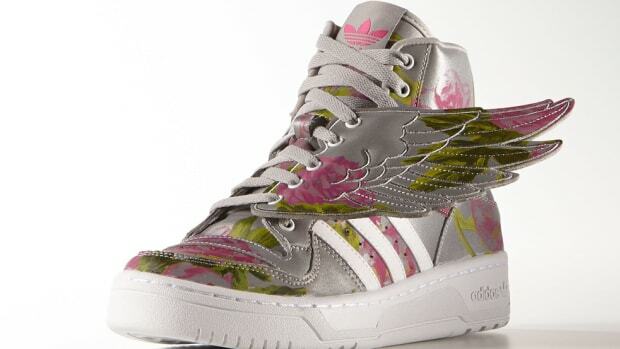 Available now for $250 directly from adidas Originals online.